With Coachella in full swing, I wanted to create some kind of festival look. However, I don't live in California so I had to make my festival look more Canadian weather approved. I stopped in recently to Value Village. As I hadn't been there in a while, I forgot how much I loved thrift shopping. I ended up with 4 pairs of shoes, 2 purses, a ring, jacket, and two glasses for all under $100. I just love finding unique treasures and scoring great deals. 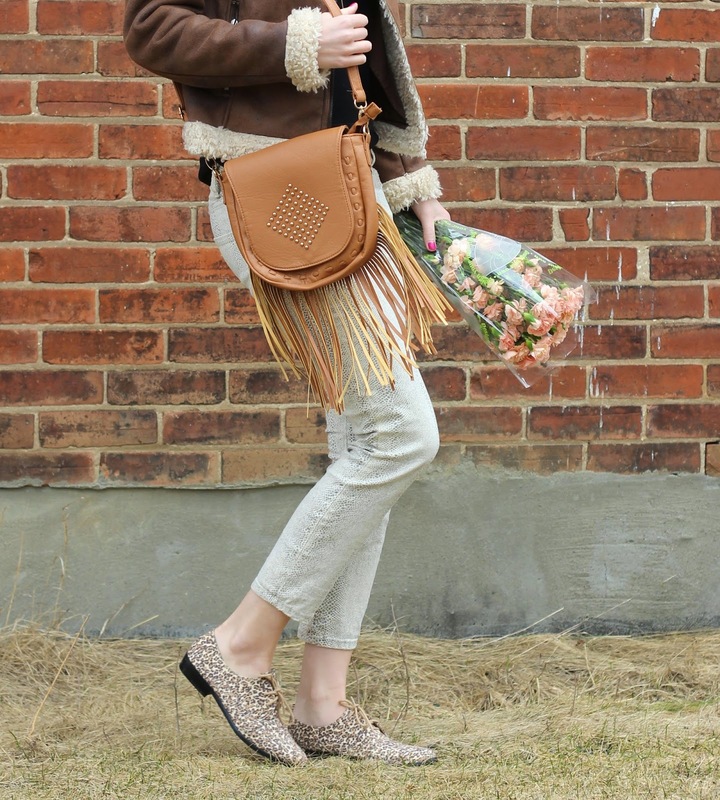 Fringe and everything 70's is back in trend this summer, so I was super happy to find this fringe bag. I felt very Pocahontas/70's vibe today, and I loved it! !